From Monterrey, Mexico to the Steel City just to catch a game! 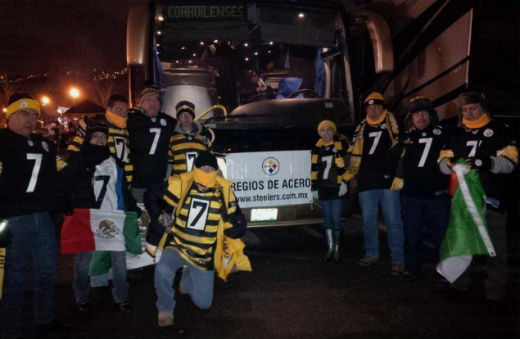 The Regios De Acero Steelers Fan Club traveled by bus from Mexico to Pittsburgh to see their beloved Steelers LIVE! Regular readers are familiar with this hardy crew of Steelers fans who wear their love for their favorite team (and their favorite player) on their backs as part of their everyday attire! 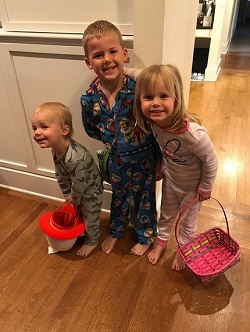 Sure, they watch their Steelers at home in Mexico, and they’ve traveled to Kansas, Arizona, and to Dallas for Super Bowl XLV in an ice storm to see them play (they didn’t have tickets, but they did tailgate and watch the game on TV), but their dream was to see a game in the home of the Steelers! They finally made their own dream come true on December 15th! The trip to Pittsburgh started on Thursday, December 12th at 7:00 am. 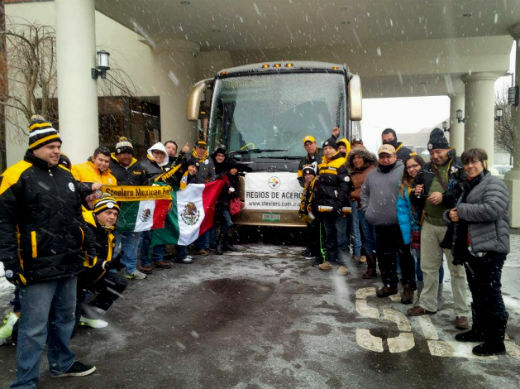 A group of around 25 Steelers fans leave Monterrey to Pittsburgh. We pass the border by McAllen,Texas. The plan was go non-stop to Pittsburgh, just stop to buy food and gas for the bus. We finally arrived in Pittsburgh on Friday, December 13th by 11:00pm which means we completed the trip from Monterrey to the Steel City in around 40 hours. Obviously all were tired but happy because we will be at the game at Heinz Field…and we arrived while it was snowing! On Saturday, we visited the city. 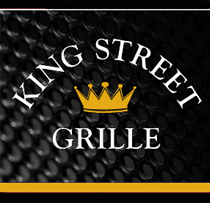 We took a lot of pictures and later had lunch at Jerome Bettis’ Grille 36… later we visited downtown Pittsburgh and walked to Market Square. From there we made our way to Station Square and took pictures from Duquesne funicular observation deck. Sunday! Everyone was so excited! We went downtown bright and early to buy some Steelers clothes including jerseys, and from there back to our hotel. 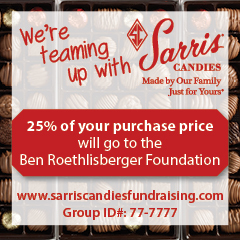 At 5:00pm we headed to Heinz Field. When we were on our way, one of Regios de Acero leaders, Jesús Vera, told us that our friend Fernando Von Rossum, who works for Fox Sports (“pasión acerera”), had sent tickets for us to access the field before the game started!! That was our Christmas gift! 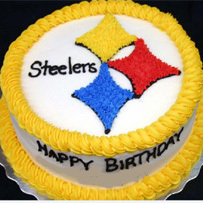 It was a big surprise, but Fernando know that our club is one of the best in México and full of die hard fans of the Steelers. 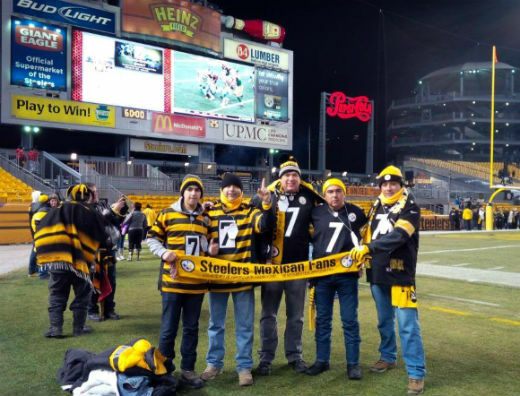 We knew that the temperature expected for Sunday night was 19.4 F but for us all that really mattered was to be at Heinz Field supporting our beloved team…no matter how cold it got! It was freezing, lol, but we saw a great game and it was priceless that we saw our Steelers win at home while we were in attendence! What fun we had!! We left Pittsburgh on Monday morning, another 40 hours back to Monterrey, but its true when I say that we had such a good time that we’ll be back! 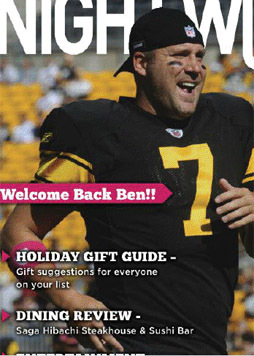 Thank you Big Ben and the Steelers for making our trip worth every mile! !